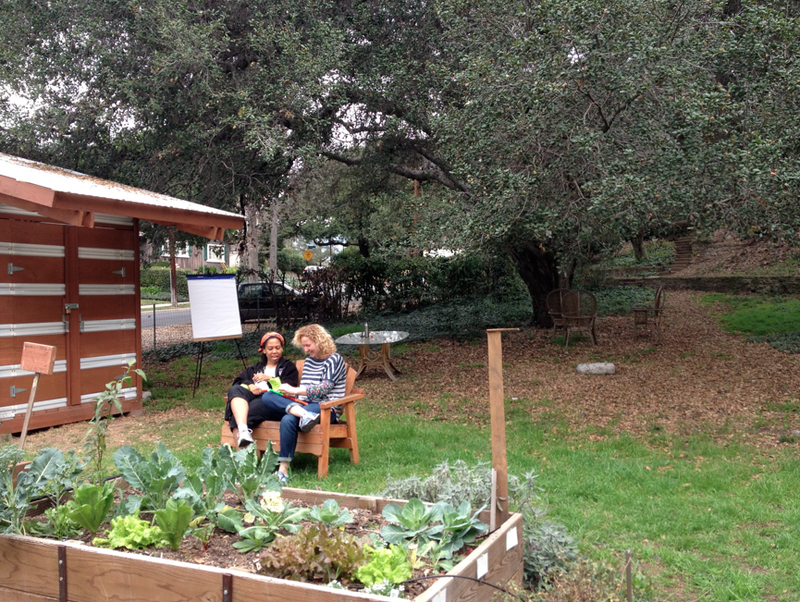 We held the majority of the retreat outside, in the lovely community garden space on the Occidental College campus. With perfect weather, it felt like we were far away, even though we remained surrounded by city. We incorporated walking into the retreat: Whether it was for individual reflection, climbing to the top of the local mountain for a fantastic view as a break or walking in pairs to discuss goals, we incorporated physical activity throughout the retreat. 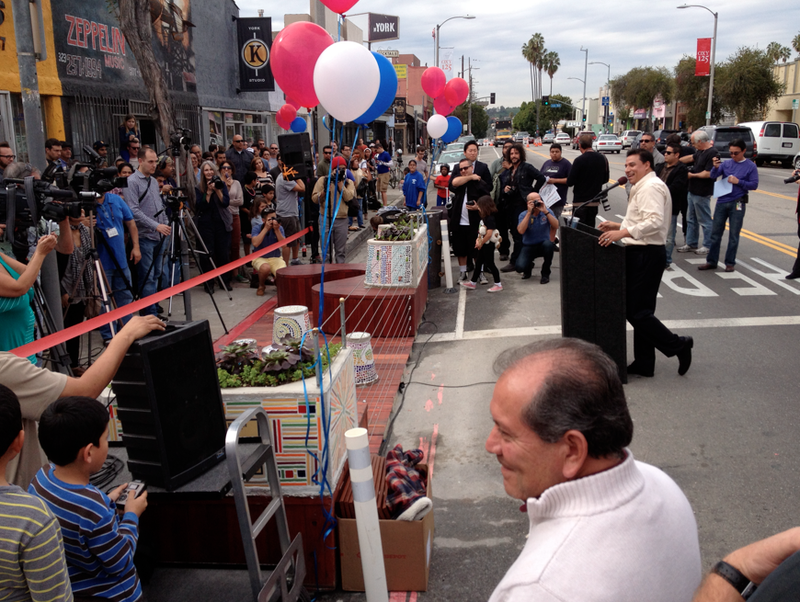 We connected to a real project in the community: We walked 15 minutes from the retreat to Highland Park, where the City of Los Angeles celebrated the opening of its first parket on York Blvd. 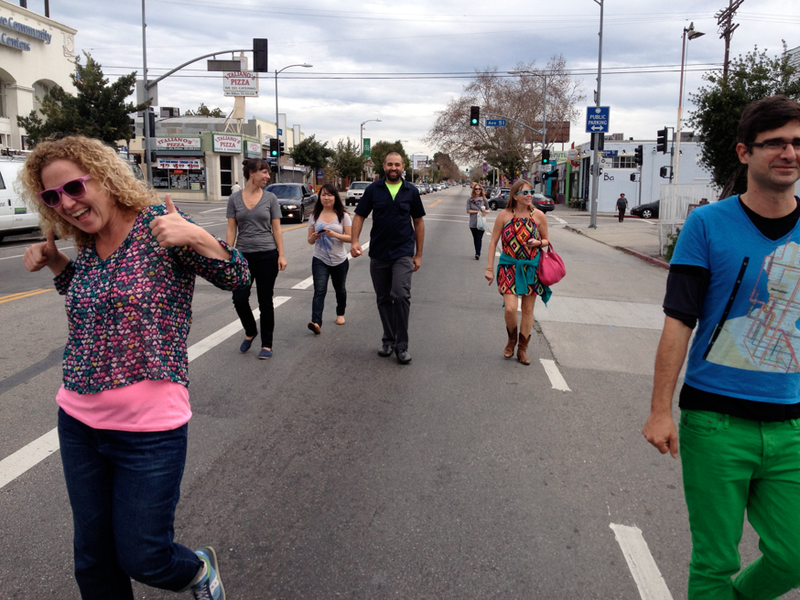 Leaders from the LA Walks Board all mingled with local leaders, politicians and community members. Seeing an actual project that improved they walking environment gave inspiration for what the organization could possibly focus on. We mixed things up: Folks reflected individually, discussed in pairs, worked in groups of three, split up into two groups of five, made big decisions as a group, used post-its, sticky-dots, metaphors, markers, tableaus, mapping and much more to give a wide variety of experiences. The work got done in a relaxed, fun, retreat-environment. Two Days worked really well: We didn’t have to rush and cram everything into one day. After we finished the work session on Saturday, everyone went out to a local restaurant for a meal afterwards and continued the conversations in an informal, fun way. Day two everyone could sleep in and we worked from 10am to 2pm, enough time to get a few important things done while allowing people to enjoy the rest of Sunday for themselves. As someone who loves to walk in Los Angeles, I’m really excited about this organization. They have the talent, passion, energy and now consensus on where they want to go and how they want to get there. I encourage you to check them out and maybe we’ll cross paths somewhere on the streets of Los Angeles. 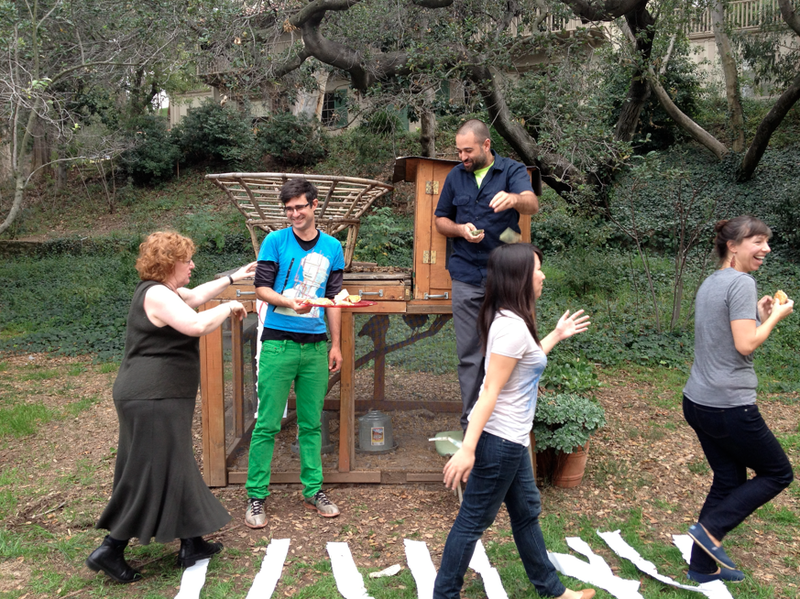 For more photos of the retreat, check out Los Angeles Walks Flickr page. 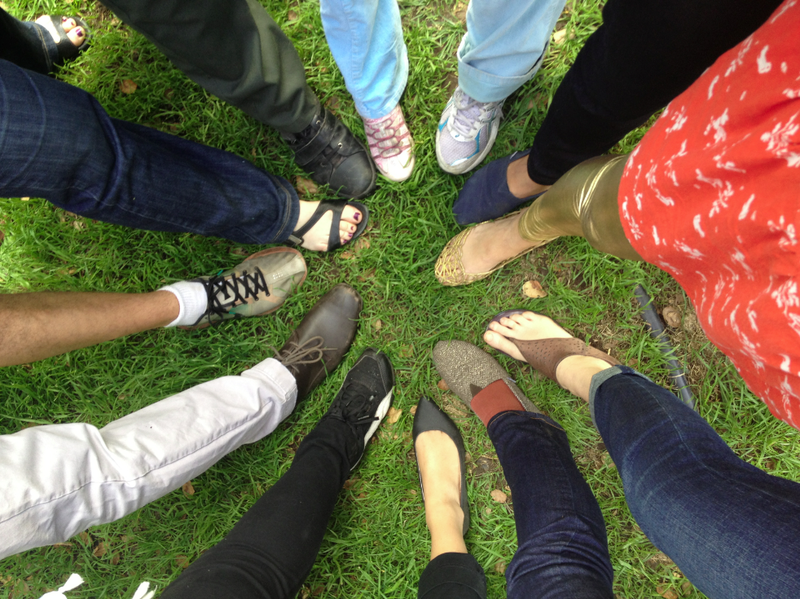 For more information on Los Angeles Walks, check out their website. Finally, for a great book on walking I ready many years ago that gave me a deeper appreciation of walking, check out Wonderlust by Rebecca Solnit. 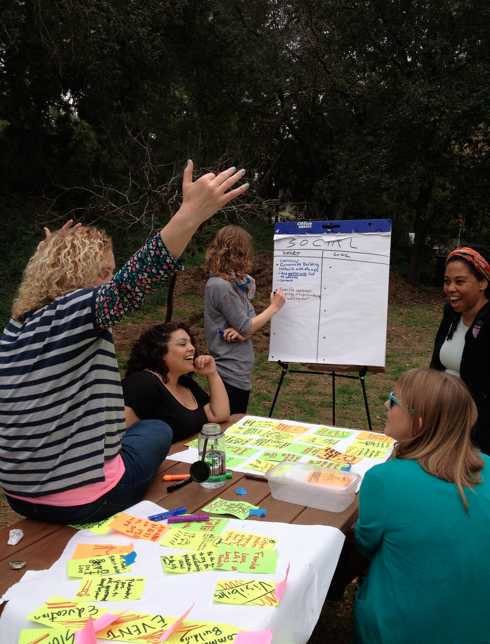 This entry was posted in Retreats and tagged Board Development, boards, Community, Facilitation, Leadership, Retreats, Strategic Planning, Team Building. Bookmark the permalink.